Tech advancement made security cameras of today into wonders that have the power to keep your home safe. 60% of criminals-to-be are effectively deterred by the presence of security systems, says a study by the University of North Carolina. And in case your house is targeted by one of the 40%, modern cameras can ensure high-resolution footage in any environment. Therefore, the chance of catching the criminals gets much bigger. However, to make your home surveillance system effective, you need to place the cameras right. Install them in strategically selected locations and choose the correct settings or camera types for maximum performance. Outside cameras should be located in places that allow for a clear view of all entry points into the house. This includes the front and back doors as well as first-floor windows and garage doors. However, these cameras are not only a surveillance tool but also a deterrent. Therefore, they need to be clearly visible to prospective burglars. Of course, you need to protect the tech from tampering, so be sure to place them within sight but out of reach. About nine feet off the ground should do it. Indoor cameras should also survey entry points of the house. However, they shouldn’t be visible so if the burglars get in, they won’t know to disable these devices as well. That’s also why these cameras should be powered by batteries and not connected to outdoor surveillance in any way. This will keep them working if the criminals manage to bring down that network. However, be advised that hidden cameras are called ‘spyware’ for a reason. Installing them without informing people who use the property might result in some legal trouble. Spy Gadgets explains that the federal law mostly sees hidden camera use as legal. When you are installing them in your own home, it’s up to you to decide where exactly to put them. However, their use is mostly prohibited in areas such as bathrooms as people expect to have complete privacy there. You’ll need to check your local regulations on the use of hidden cameras to know exactly whether you need to alert your guests, babysitters, etc. about the surveillance. Unless all of your cameras have a night vision feature, you need to install lights around them to actually capture important footage. Even if there is a night vision feature, the quality might be better if there is enough light so it doesn’t need to activate. LED lights with motion detectors will work best and will provide an additional deterrent as they might scare the burglars away. If there is a basement in your home, you need to have a camera monitoring the stairway that leads into the house. This place also needs a light with a motion detector. If you cannot protect every entry point with a camera, you should choose the ones that are most vulnerable. This means windows that are out of sight of the street or covered by shrubs. However, the camera over the front door should be your first investment as it’s most effective as a deterrent. According to a report from the Bureau of Justice, the number of property crimes has been steadily going down during the last decade. Data from the FBI supports this claim. 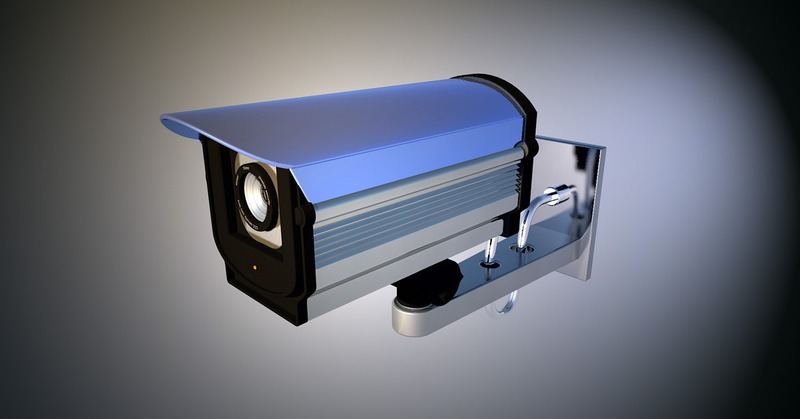 The increase in the use of security cameras is a major contributor to this positive change. Sadly, a security system is yet unable to protect your home with a 100% guarantee. But the strategic placement of surveillance cameras can go a long way in ensuring that possible criminals are found and punished.